"For me the people network is where small-talk turns into inspirational conversations, exchange into positive energy and work into passion." "In what world do you want to live? Develop visions, put them into action and create your own reality with the people network. Being strong together for the individual – this is what we stand for." "Creating impact together! We achieve this by putting customer service at our heart for all our clients. Get involved and bring in your expertise and personality. It is the diversity that enriches us!" "To me the people network means to broaden my own horizon, limits and experiences each day and thereby get constructively challenged by the Swarm Excellence. You learn from the best. This way you extend your horizon and repertory. These are the building blocks of your success." "To me, the people network stands for new exciting people and perspectives. The exchange between great people and great customers is what really counts at TPN!" "To me, the people network is comparable to a pit team in Formula One. Despite numerous kilometers walked as a trainer, you receive the fine-tuning that you currently need from the network. A race driver will not arrive at the finishing line without his team. This is what TPN is to me." "My biggest motivation is connecting people with each other to build a swarm that is greater than the sum of its individuals. At the people network I can do this every day and be part of something that is way bigger than myself. But what strikes me most is working with and learning from so many inspirational and professional colleagues day by day. True Synergy - True Swarm Excellence!" 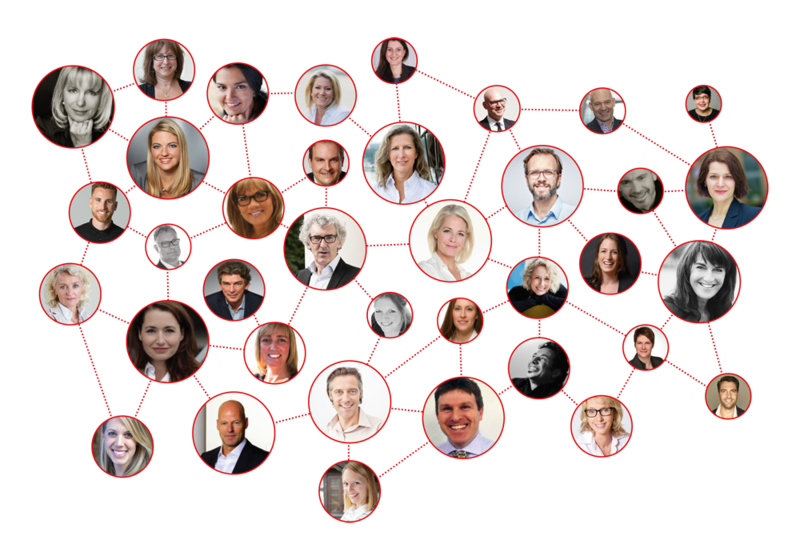 "Being part of the people network, you experience honest support amongst colleagues, exchange, collaboration and knowledge sharing with high individual professionalism – simply Swarm Excellence!" "Every time I am always looking forward to our TPN meetings because of the massive exchange and sharing of knowledge as something that is happening so naturally. This gives me lots of inspiration to find the best fit for our clients and together fulfill their requirements. If that‘s what you are looking for, then you are spot-on with us." "For us it is not only a concept to think, develop and implement our interventions in the interests of our colleagues, partners and clients. It is a lived reality – with all means!" "For us satisfied customers are a matter of the heart! Join us if you are curious and hungry for new methods, challenges and people." And what do we think makes us special? We believe in trust, appreciation, transparency, and mutual support. Our common values strengthen our feeling of belonging to the network and are an important basis for our collaboration. While we share a common attitude and values we differ in our experiences and competencies and therefore build a diverse network of experts. To be a part of our network means not only to participate in exciting projects and to get access to a network of global customers but also to experience an inspiring community in which we learn from and support each other. We all bring a high level of positive energy, dedication and enthusiasm to the network because we feel that together we can create a real impact in the world! We are always looking for interns as well as experienced trainers, coaches and consultants who want to become part of our network and join our swarm excellence. If you are interested in getting to know us just get in touch and we will contact you!